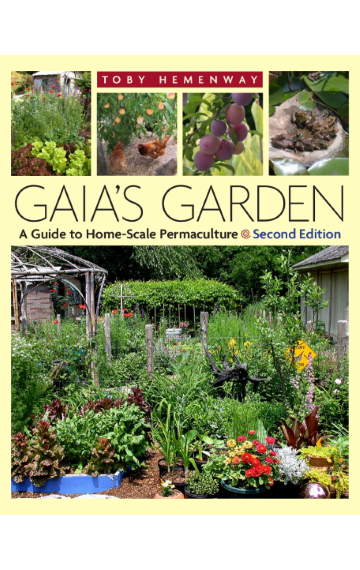 Gaia’s Garden is the best-selling permaculture book in the world. The enlarged, updated 2nd edition is the winner of the 2011 Nautilus Gold Medal Award. Due to Toby’s health, we’re no longer selling books directly on this site. Please purchase from Amazon or another book seller. Gaia’s Garden was named one of the top ten gardening books of 2009 by The Washington Post. The Three Sisters—or Is it Four? This revised and updated edition also features a new chapter on urban permaculture, designed for people in cities and suburbs with limited growing space. Whatever size yard or garden you have to work with, you can apply basic permaculture principles to make it more diverse, more natural, more productive, and more beautiful. Best of all, once it’s established, an ecological garden will reduce or eliminate most of the work that’s needed to maintain the typical lawn and garden. —Robert Kourik, publisher and author of Designing and Maintaining Your Edible Landscape—Naturally. —Sharon Astyk, author of Depletion and Abundance: Life on the New Home Front. —Dr. John Todd, founder of The New Alchemy Institute.